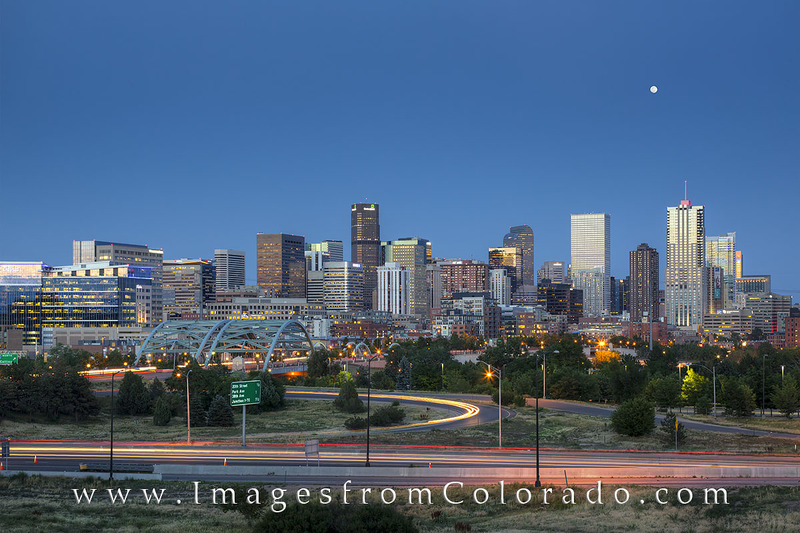 Looking east to the downtown Denver skyline, the nearly full moon rises in the evening. The Speer Boulevard Bridge is in the foreground, and some of Denver's most prominent highrises welcome the cool evening air. Photo © copyright by Rob Greebon.